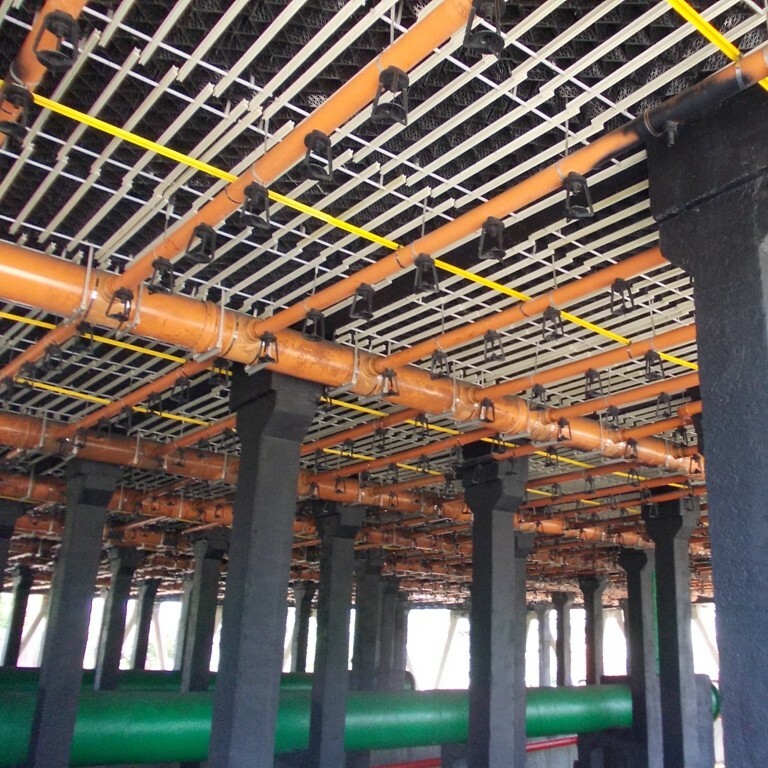 The frost protection system for counter flow cooling towers (patented system) consists of installing an additional water distribution and dispersion system located all over the tower just below the fill, through which the entire water flow of the tower can be transited completely bypassing the distribution system itself and the tower fill. This solution determines an increase of the water temperature in the most freeze vulnerable areas of the tower, while the overall cooling of the water stays within the technological limits. As a result, the occurrence of ice formations in the tower is stopped and the cooling capacity of the tower is adjusted assuring a more stable and fine control of the water temperature.